The iPhone Bluetooth not working is an issue that can be resolved with absolute ease. There are many solutions to this issue that always works best. It is advised to follow any solution which will be mentioned in the latter part of this article to make sure that the best outcome is generated. The Bluetooth has become a vital part of iPhones and other iDevices. Without it sometimes it becomes impossible to transfer the data. 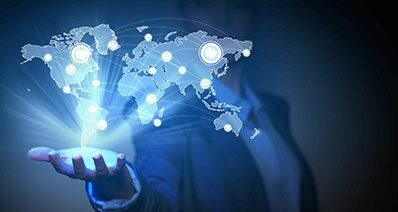 Whatever the reason is the solutions which can be applied to get the work done. It simply means that regardless of the issue or its cause same solutions are applied to get Bluetooth working. For iPhone Bluetooth not working this solution is something which most of the users are unaware of. One needs to be tech savvy to ensure that the problem related to Bluetooth is resolved. There might be some conflicting app that is causing the problem. The simple rule is to delete the app so that the issue can be resolved with ease. The one-step process should be applied so that the problem is resolved completely. Simply tap and hold the app which you want to delete. It will start wiggling. Press the cross icon in the top right corner of the app to get the work done. The iPhone Bluetooth, not working can also be resolved easily with by updating your iOS device. It is the easiest way to resolve the issue completely. Within the settings of the iPhone tap General. Press Software Update. Press software update and let the phone install the update. 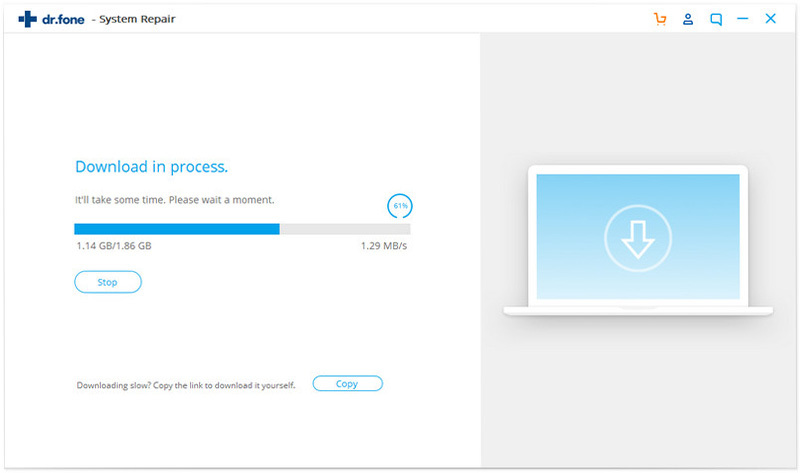 Once it has been done it is advised to wait as the installation can take a while. The phone will restart as soon as the issue is resolved. To fix iPhone Bluetooth not working problem this option is used by almost every user and provides fruitful results. 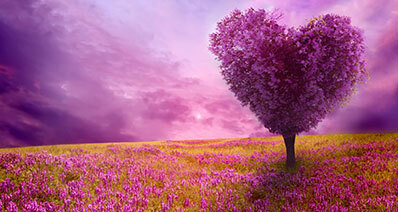 The best part of this process is that it requires no technical skills and therefore can be applied without any hassle. Even the most naïve users can apply the process with ease. The steps involved are simple. Press the home and power buttons of your device simultaneously. Wait till the Apple logo appears hopefully resolving the issue in full. This is another way to get the Bluetooth related issue resolved. 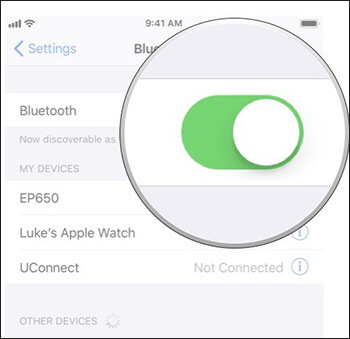 The best part of the process is that it allows the users to completely refine the Bluetooth connection. The process involved here is simple and therefore can be applied with ease. The Bluetooth not working on iPhone can easily be resolved by following the steps as under. Press “i” icon against the device you want to forget. Confirm your choice to make sure that the device is forgotten on the phone. This is another solution which is related to the Bluetooth and unfortunately, most of the users are not aware of the fact. The network settings of iPhone are highly conflicting and can cause the problems. The iPhone Bluetooth not working can easily be resolved with the process below. Within settings of iPhone press General. Tap reset on the next page. 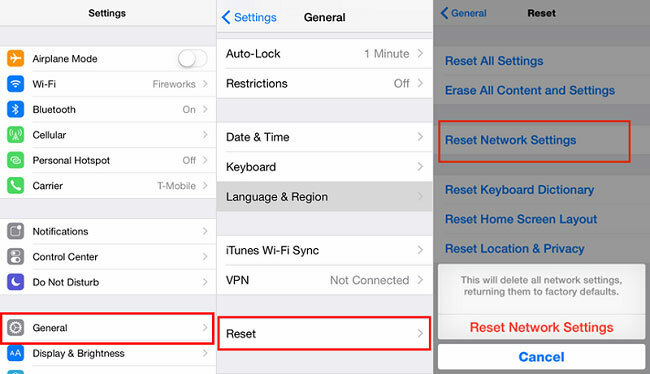 Press reset network settings. Enter the passcode if there is one you have applied. Confirm if you want to reset the settings on the next page. It is very easy to restore iPhone using iTunes and then back up. The best part of this process is that it involves all Apple based software programs. 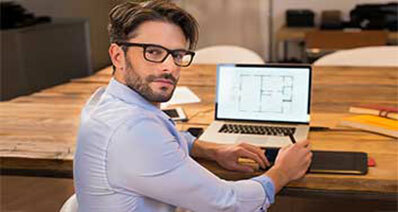 It simply means that you need no external programs to get the work done. To fix iPhone Bluetooth not working problem it is advised to follow the simple process. Connect your iPhone to the system and launch iTunes. Click the summary tab and click restore and you are done. At this point, the backup is not at all recommended. Setup the iPhone once the restoration completes to resolve Bluetooth issue. The iTunes will prompt that the data will be erased if you proceed. Press “restore” to move forward. The device will be restored to factory settings. The HELLO screen will appear which means that the process has been successful. You can easily setup the iPhone as a new device as normal to end the process. It is very important to note that the process above should only be used as a last resort to resolve Bluetooth not working on iPhone. It completely erases the data so should only be applied when nothing else works at all. This is another problem that can be caused and it can be regarded as the simplest solution on cards. The process is such that even a user that has never used iPhone can perform it to resolve iPhone Bluetooth not working issue. Press the settings within the menu of the iPhone to start the process. Press Bluetooth on the next interface. Turn on the Bluetooth and use the same process to turn off the Bluetooth if it is on. This will remove temporary congestion if any. 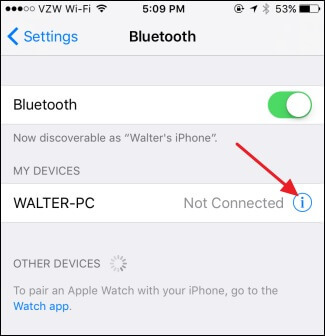 It will completely solve Bluetooth not working on iPhone issue. It is another process for which only your iPhone is required. To fix iPhone Bluetooth not working problem it is advised to follow the process which is very easy to implement. Within settings make sure that you press General. On the next screen, it is advised to press reset at the bottom of the screen. Press reset all settings. Confirm that you want to reset your phone if prompted. This will reset the phone and Bluetooth related issues will probably be resolved. If the issue remains it is advised to move forward with other processes. It is believed that iPhone Bluetooth not working problem will be resolved in most of the cases if the process is followed. Enter the passcode if prompted to complete the process. 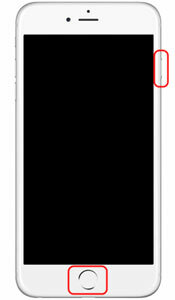 The location of the iPhone can also act as a conflicting force and can present iPhone Bluetooth not working. To make sure that the issue is fixed the process which is associated with the issue is presented as below. Go to settings > General to start the process >> Press reset on the next screen that appears >> Press reset location and privacy which is the last option. Enter the passcode if prompted. Enter it to reset the location completely. Please take a note that to fix iPhone Bluetooth not working problem this solution only resolves the software based issue. The hardware issue is not dealt with this process. 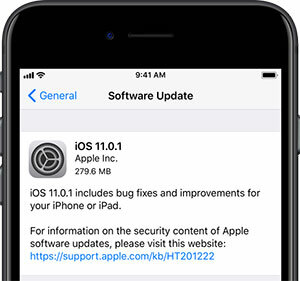 This process to resolve the issues related to iPhone firmware should only be followed by the users that are tech savvy. It requires complete knowledge of the files that are to be downloaded. It can also lead to problems if the process is not followed correctly. The expert hand is, therefore, necessary to get the work done. 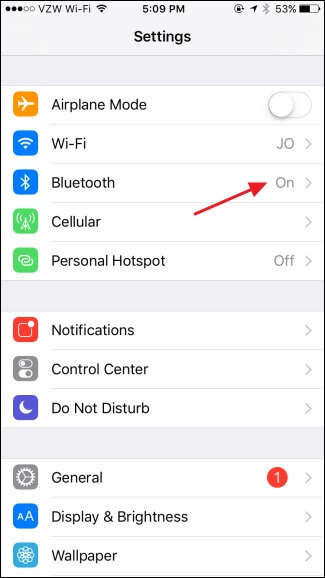 To resolve Bluetooth not working on iPhone issue it is advised to follow the process as under. Download the IPSW file of the firmware from the location you deem fit. Launch iTunes. Connect the device to the system and select it from the main interface of the program. On Mac press OPTION + UPDATE button on iTunes On Windows press SHIFT + UPDATE, button to select the update file place in the first step. Confirm the update and install it. 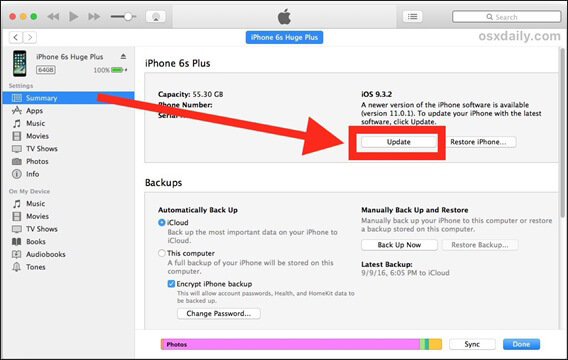 The iTunes will automatically update the firmware of the phone and verify it with Apple. It will resolve Bluetooth not working on iPhone issue completely. It is a very important aspect which most of the users ignore. The iPhone Bluetooth not working can be resolved easily if there you stay away or keep your device away from Wi-Fi or USB 3.0 ports. 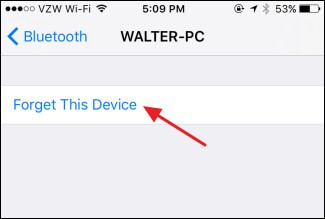 Experts in this regard suggest that Wi-Fi signals and USB 3.0 data transfer speed can hinder the Bluetooth of any phone including the iPhone. It is very important that this aspect is always kept in mind before moving forward with any solution. The fact is that this should be dealt as the first step as it requires no working at all. And if you don’t get the issue resolved completely then it is hardware related. Visit the nearest Apple Center to make sure to fix iPhone Bluetooth not working problem. It will surely get the issue resolved as the experts will make sure that the state of the art equipment is used to check the phone. In case the issue is not resolved by the experts then there is a good chance that you get a new phone if still warranty is applicable.